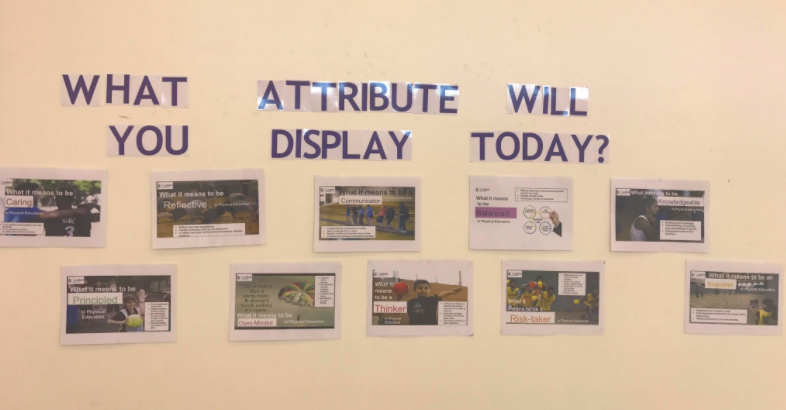 This article is written by a physical education (PE) teacher from a PYP candidate school in Australia sharing her journey of connecting PE into a programme of inquiry. Still in the candidacy stage, Caulfield Grammar School is learning something new every day, especially the physical education department. 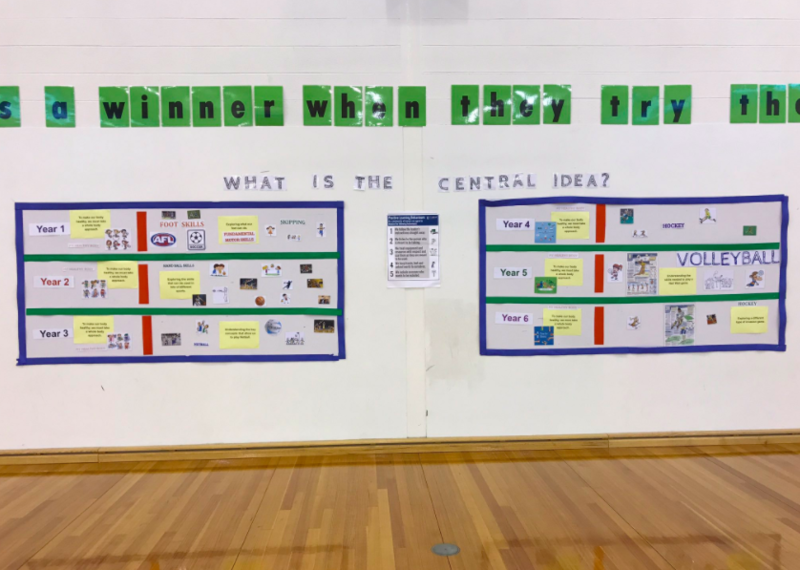 I have challenged myself and my students to connect physical education (PE) and the PYP in ways we did not know even existed – and this is only the beginning. My journey within the PYP started back in January 2016 when my school completed the Making the PYP happen workshop. Hesitation and curiosity were the two most dominate feelings I experienced. Hesitant to try what seemed like something ‘brand new’ and curious to see how I could authentically link it into my field of physical education. I thought about how I learn best. 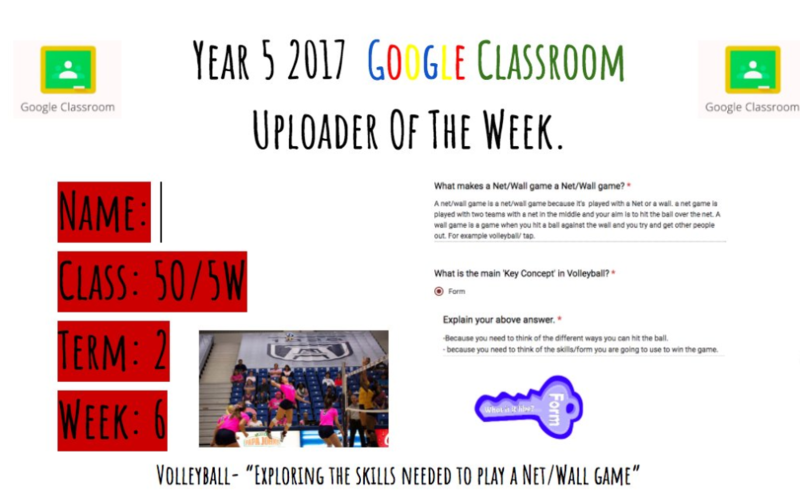 I needed visual stimulation as a student and as a teacher, therefore making the PYP visible in the gymnasium was first on my to do list. Provocations about what attitude and/or attribute students would display allowed them to wonder. 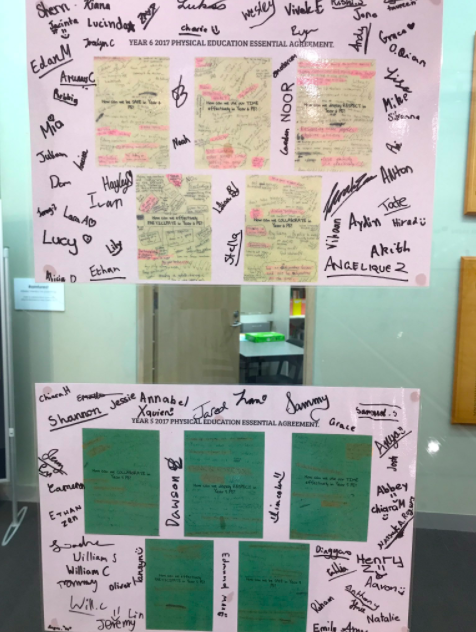 A central ideas wall with all the units and central ideas from year 1 to year 6 allowed myself and my students to connect. Transdisciplinary themes and key concepts allowed us to have deeper understanding. Essential agreements allowed the gymnasium to have a harmonious feel. By the end of my revamp of the gymnasium, I realized not only had I assisted my students, but I had assisted myself. The ability to constantly check in on, to look at, to discuss and to reflect, allowed my classes to go in an entirely new direction. It gave my physical education classes meaning and purpose. By creating a room of wonder and connection, I have allowed my students from all year levels to become one, all classroom teachers, specialists’ teachers, administration, leadership and support staff to be united and to allow our extracurricular sporting teams, coaches and parents an insight into what we do in physical education at Caulfield Grammar. I then started thinking about assessment: how do I know what my students know? 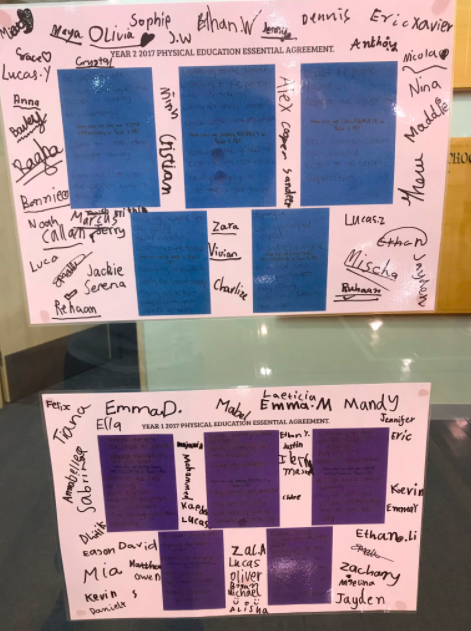 The year 5 and year 6 classes all complete a reflection at the end of every class. 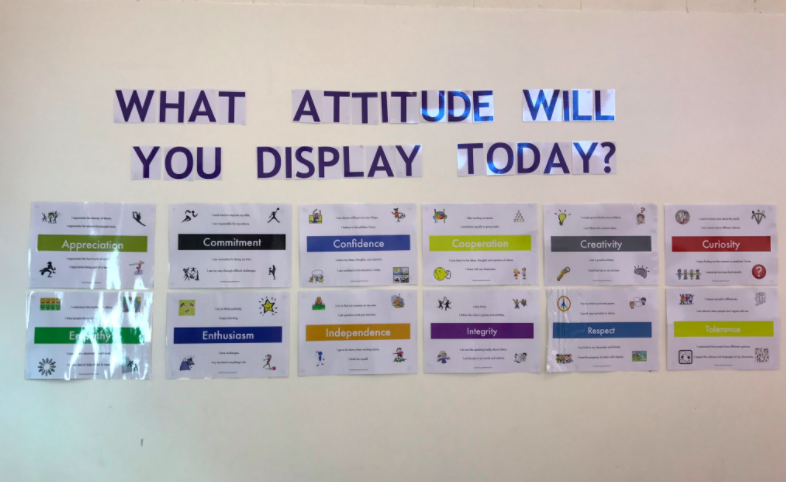 These reflections can be anything, students driven, attributes driven, attitudes driven, key concepts driven, central idea driven or simply unit driven. With no right or wrong answer the students were instructed to prove their theory right. Almost all the key concepts were investigated; all could be linked to volleyball. 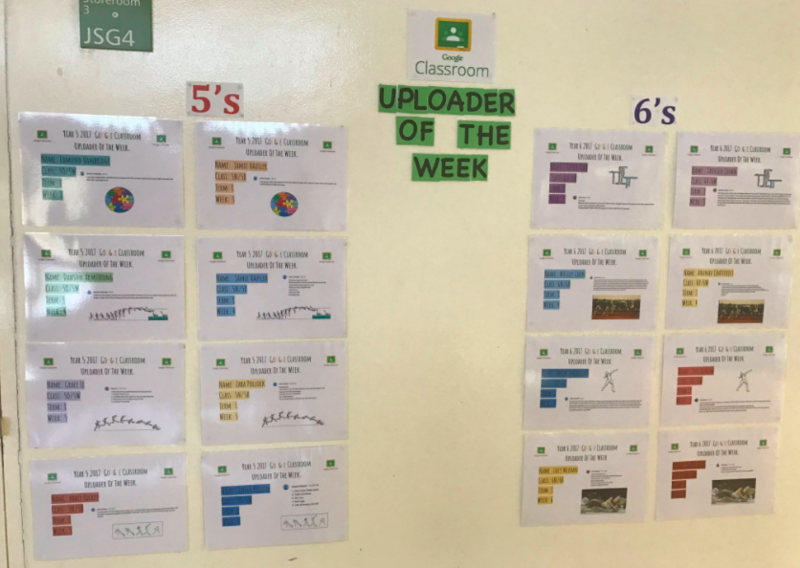 Supporting the students with the independence to go out there and oversee their own learning allowed them to feel more connected. 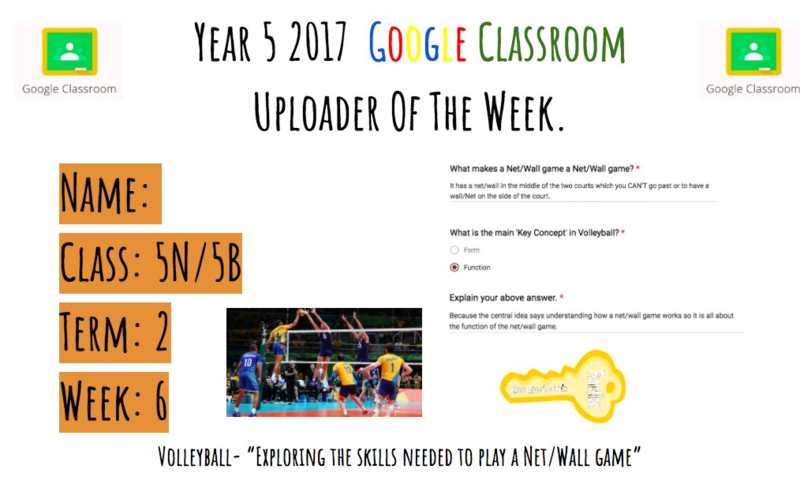 Each week the student reflections amaze me and allow me to constantly learn about the units and my students. It is a way to check prior knowledge and understanding, and the possibilities to assess my students in various ways which excites me. I am proud to bring an altered side of physical education to this school, to encourage all students from all walks of life to shine. Aligning with the IB mission statement “…inquiring and knowledgeable students”, my goal is to enable students to have the physical skills and cognitive skills needed for the IB physical education classroom. Out of the PYP essential elements, I have provided attitudes, action, concepts and knowledge to my students. I am now only missing the skills; stay tuned to my Twitter feed to see my journey into incorporating the 5 skills: communication, social, research, self- management and thinking into physical education. Lizzy Motteram is a Physical Education teacher at Caulfield Grammar School, based at the Wheelers Hill Campus in Melbourne, Australia. She is a third-year graduate teacher who is always keen to ’think outside the box’. Lizzy pushes the norm and always wants the best for her students. How they learn, how they feel when they learn and what the lasting impression is on her students is always at the top of her teaching priority list. It has been an enjoyable challenge to incorporate the PYP teaching framework into her PE, one that she has taken on board. With only limited lessons a week she must think about flipped learning, higher order thinking activities and lessons that have multiple learning outcomes. You can find her on Twitter @lizzymotteram. Congratulations Lizzy! You are doing a fantastic job! You are making a difference! Wow ! Very interesting | That’s what we need ! Thank you many excellent ideas ! This is a useful and interesting post. Thanks for sharing. 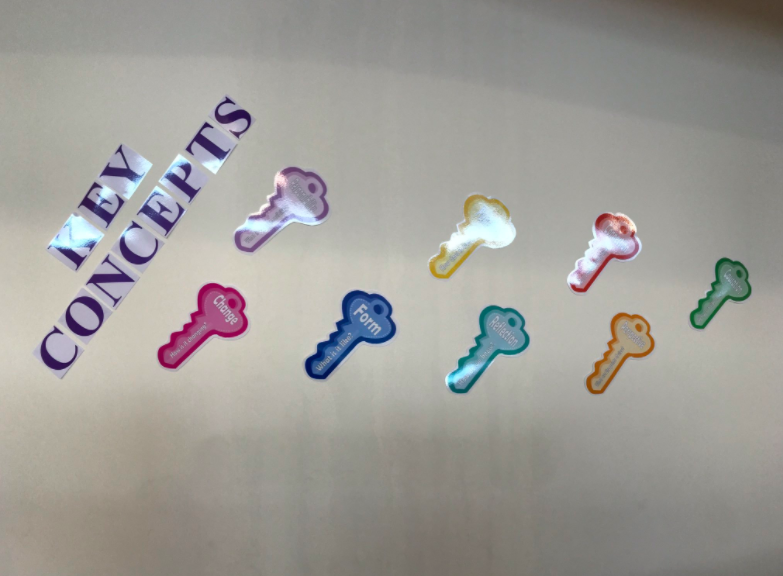 Incorporating physical education into a PYP framework seems quite tough… but the concepts and the ideas you’ve shared makes the tough thing easy… Great Insight! Thank you for reading, as well as all of your positive feedback. Hello, Great work! Do you sell copies of the learner profiles? Or can I download them. I would love to add them to my IB board in my gym. Leave a Reply to Nancy F. Click here to cancel reply.